The resumption of Ethiopian Airline’s daily flights to Asmara, the capital of Eritrea, after 20 years is one of the greatest payoffs of the recent peace deal between the two countries, which has ended an bout of violence and bloodletting following a brutal border conflict that has so far claimed 80,000 lives. 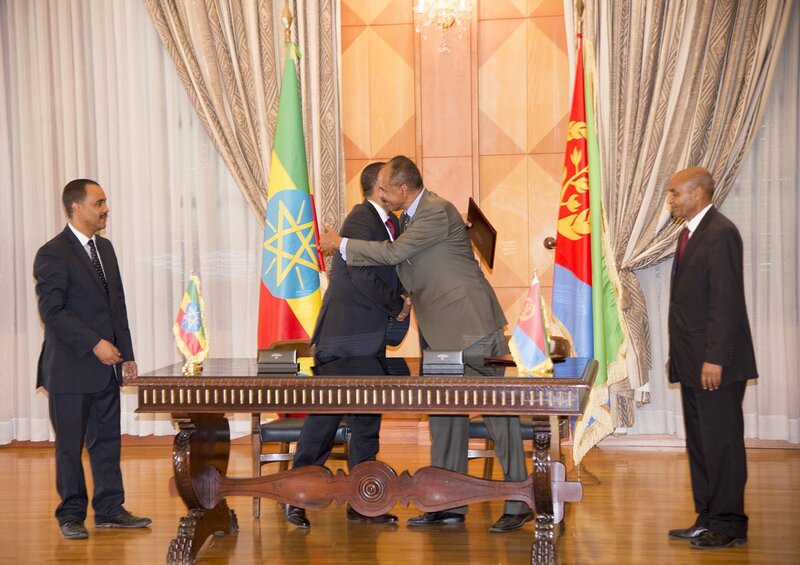 Perhaps nothing could have prepared citizens of the two countries for the truce that was heightened by the brotherly embrace between Ethiopia’s Prime Minister Abiy Ahmed and Eritrean President Isaias Afwerki at the airport runway, amid thunderous applause from thousands of Eritreans. With this peaceful gesture, the two countries can resume to trade with each other, restore phone connections that had been terminated, reestablish diplomatic ties and reopen borders. It is a development that has received a wave of thumbs up from the continent and beyond, in what leaders have described as a selfless act of putting the interests of the people first. This historic moment points to how decades of conflicts can be turned around in a short time where political will exists. It offers poignant lessons to leaders in war torn countries from South Sudan, Central African Republic, Yemen, Syria and the Sahel among others that peace is always a commitment and a sacrifice away.